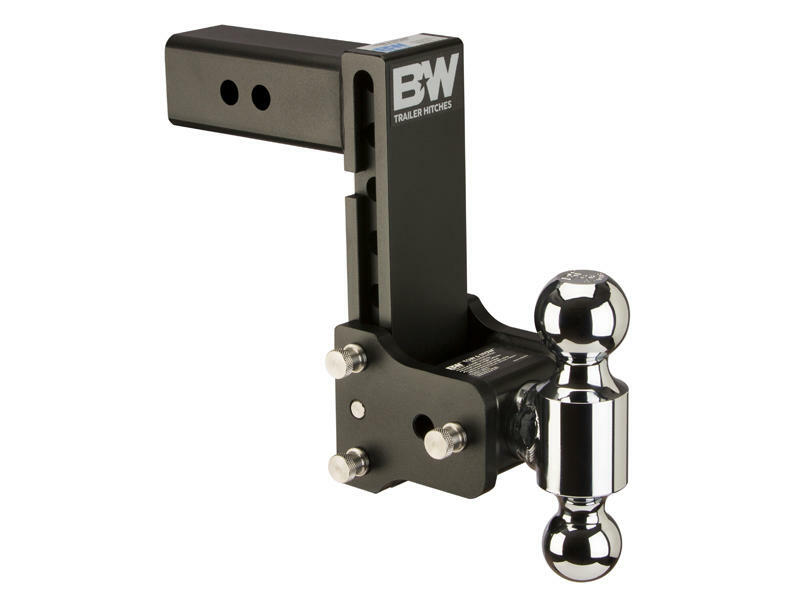 B&W Tow & Stow Double-Ball Ball Mount adjusts from 7-1/2 inch rise to 7-1/2 inch drop. Pull the pin and the ball platform rotates to switch between 2 and 2-5/16 inch chrome hitch balls. When not in use, the head assembly folds up and under the vehicle for storage leaving the rear of the vehicle uncluttered. 2 inch ball rated 7,500 lbs. 2-5/16 inch ball rated 14,500 lbs.